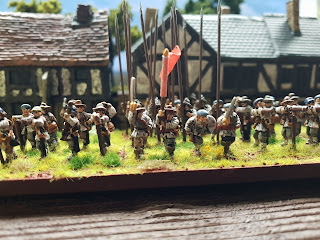 Part three of the Prince Rupert travelogue sees him enter the land of strange dialects, decent beer, and the unholy use of offal in cooking; before he triumphantly enters York, and foolishly rides out to Marston Moor. For ease of writing east of the Pennine watershed* is Yorkshire, west is Lancashire. 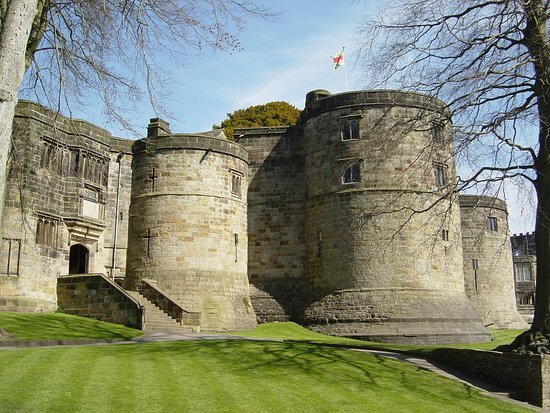 Rupert's first port of call was the Royalist stronghold of Skipton. 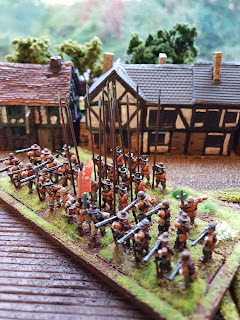 Rupert's forces relieving the siege of Skipton Castle which had been on and off since 1642. 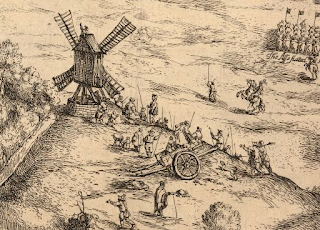 After Marston Moor the siege started again, the garrison eventually surrendering honourably in December 1645. 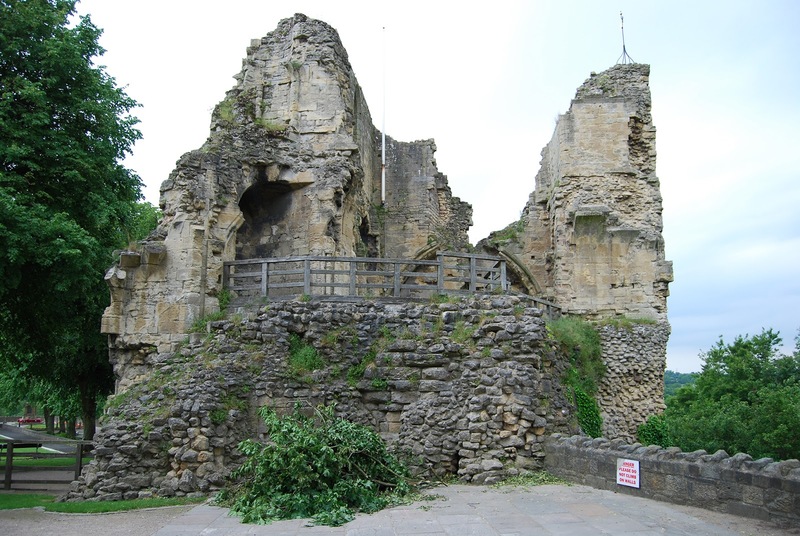 Rupert's forces spent two days here resting and preparing for battle. (A more in-depth post about Skipton Castle can be found here). 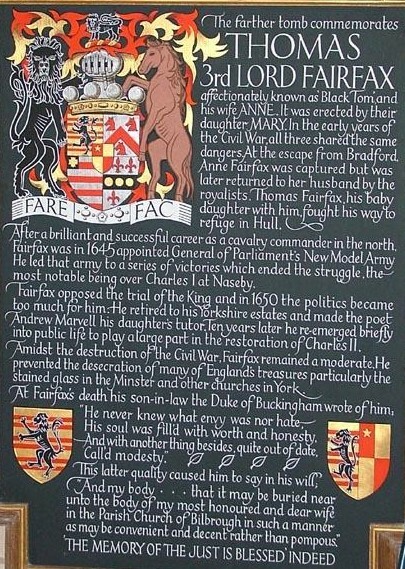 Rupert made a statement by routing his march via Denton Hall, the home of the Fairfaxes. The current hall is a much newer building (dating from the late eighteenth century) and is used as a wedding/corporate events venue (in other words not open to the general public). It also appeared in the film "The Life and Death of Colonel Blimp" as the Colonel's home. 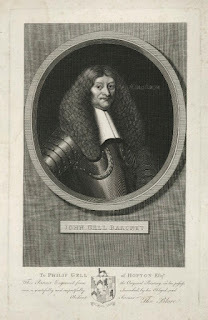 He cleverly outwitted the Parliamentarian cavalry guarding the more obvious, direct routes to York making for Knaresborough which was another Royalist safe haven. 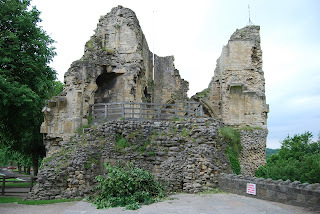 Knaresborough falling for Parliament after Marston Moor, and it's castle was raised to the ground by order of Parliament in 1648. Only the raisers didn't do a particularly good job, and there is still quite a bit of the castle to visit. 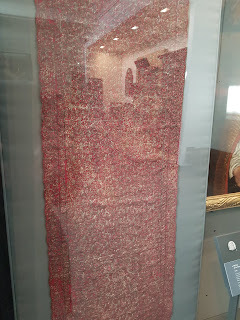 The museum has a number of Civil War exhibits on display (again more in-depth post will appear when the place is open when I visit and I can do more than just wander around the grounds). 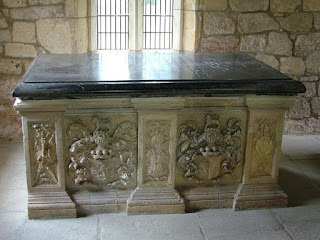 Rupert then took a circuitous route to avoid Parliamentarian forces and their fortifications crossing the River Ure at Boroughbridge, and the River Swale at Thornton Bridge. 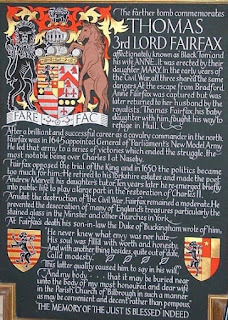 His route took him towards Poppleton and the 'bridge of boats' that had been built to facilitate the siege of York. 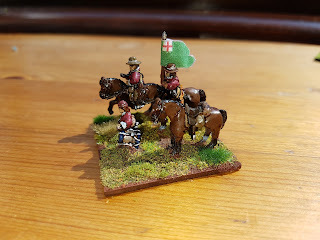 Rupert's forces drove off the dragoons guarding the only crossing of the River Ouse north of York. Sadly nothing marks any of these events in these places, so there is nothing for the visitor to see other than to physically stand where these events took place (and even then we don't know where the river crossing spots actually were). Yorkshire is absolutely chock full of stuff to visit, many more 'grand days out' will inevitably involve trips into the self-styled ' God's Own County', so this section of Rupert's Travelogue is fairly sparse as future posts will explore Skipton and Knaresborough Castles in more depth; the battles of Seacroft Moor and Leeds; and the storming of Wakefield. 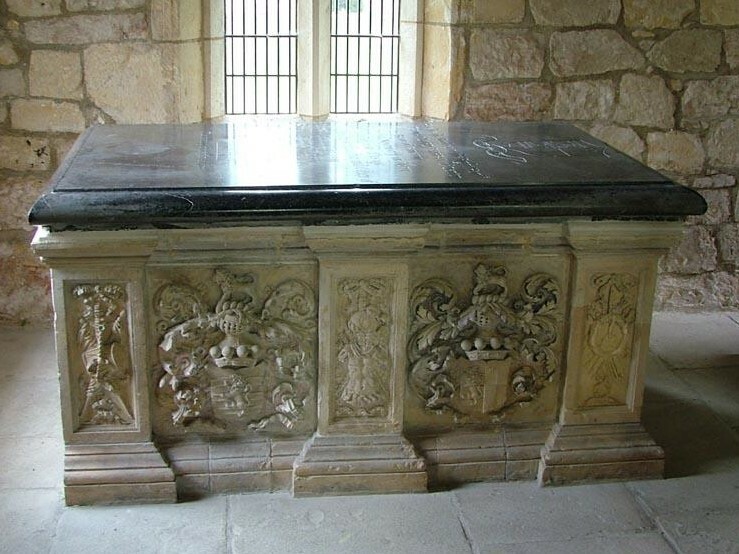 St James' Church, Bilbrough is the location of Sir Thomas Fairfax's tomb. Open daily, please remember that St James' is a working church and behave respectfully when visiting. * Where exactly the Pennine watershed actually is, is a matter of debate. Even the rivers that start at this mythical spot aren't actually sure, and struggle to decide whether to flow east or west. 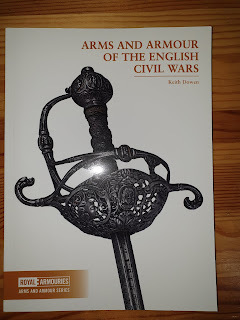 Footnote: My much earlier post about visiting York and Marston Moor has now become the de facto Part 4 of this series.